The realistic special effects in Walt Disney’s early features, Pinocchio, Fantasia, Dumbo and Bambi, have dazzled generations of viewers, but the secrets behind their creation were long forgotten, even within the studio. 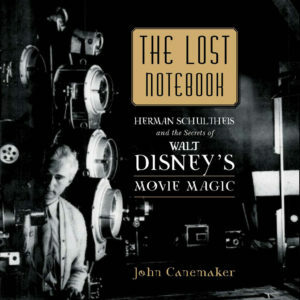 The Lost Notebook: Herman Schultheis and the Secrets of Walt Disney’s Movie Magic, explore the fascinating mechanical and optical processes that enabled Disney to delight the eye with dancing snowflakes, flying wraiths, erupting volcanoes and other visual treats. This behind-the-scenes look at the special effects wizardry of the Disney studio at the height of its Golden Age, 1937-1941 is drawn from a series of lavishly illustrated and detailed notebooks, composed by studio effects engineer Herman Schultheis. During his brief tenure at Disney, the enigmatic Schultheis created these books for his own use. They were never published and remained hidden for nearly 50 years until their discovery in the 1990s. They are now part of the permanent collection of the Walt Disney Family Museum and provide an extraordinary document of the production secrets behind Disney’s classic early feature films. 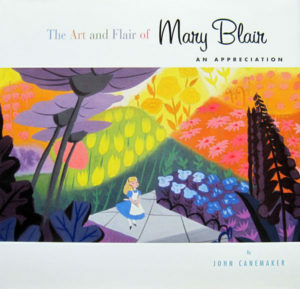 In this updated edition of his 2003 book, John Canemaker explores the life and work of Mary Blair (1911-1979), one of Walt Disney’s most influential artists, whose joyful creativity and exuberant color palette stamped the look of many classic Disney animated features, including Alice in Wonderland, Cinderella and Peter Pan, and theme park attractions, most notably “It’s a Small World.” The amazingly prolific Blair also enlivened the not-so-small worlds of children’s books, magazine illustration, advertising, architectural décor, and theatrical set design. 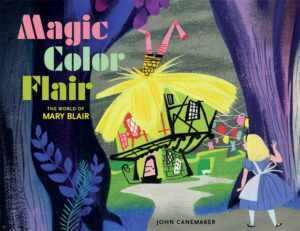 Created as a catalog for the 2014 exhibition at the Walt Disney Family Museum, curated by John Canemaker, Magic Color Flair is an authoritative celebration of the multifaceted Blair’s life work. From her precocious paintings made while studying at the renowned Chouinard Art Institute, to her concept drawings for Disney films, to her treasured Golden Books, delightful advertisements and large-scale installations, Magic Color Flair gives readers an inside look to her bold and lively artistic process that yielded such loveable, and memorable work. John Canemaker brings insight and understanding to the lives of Joe Grant (1908-2005) and Joe Ranft (1960-2005), artists whose work defined and refined the art of animation story telling, beginning in the 1930s at the Walt Disney Studios and continuing to the present digital age at Pixar Animation. Their imaginative and inventive approach to animation helped create unforgettable moments in Beauty and the Beast, Toy Story 1&2, Fantasia, The Lion King, Aladdin, Monsters, Inc., Pinocchio, The Nightmare Before Christmas, Snow White and the Seven Dwarfs, A Bug’s Life, Dumbo and more. 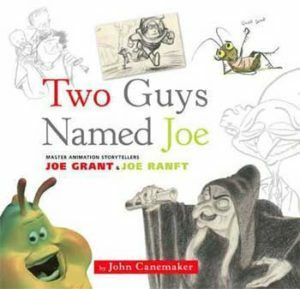 Lavishly illustrated with personal art and rarities from the Disney and Pixar archives, Two Guys Named Joe explores the interplay between personal creativity and the craft of animation storytelling, as seen through the lives and art of two of animation’s most original artists. The definitive biography of one of America’s great comic artists, Winsor McCay (1866-1934) McCay’s groundbreaking comic strips Dream of the Rarebit Fiend and Little Nemo in Slumberland, created in the first decade of the twentieth century, remain among the most brilliant examples of the art form. Winsor McCay was also the first great master of animation, and helped define the principles of personality animation in his pioneering animated short films Little Nemo (1911), How a Mosquito Operates (1912) and Gertie the Dinosaur (1914). This revised and expanded edition of Canemaker’s landmark 1987 biography incorporates newly discovered material from McCay’s personal papers. 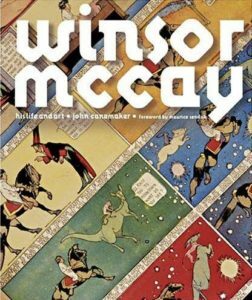 Note: A limited number of copies of Winsor McCay, signed by John Canemaker, are available at Milestone Film and Video. The New York Times reviews the original edition of Winsor McCay here. Think of your favorite moments and characters in Disney films from the 1930s through the 1970s – moments of comic craziness or tender poignancy, enacted by compelling heroes and heroines, playful animals and dastardly villains – and chances are most were animated by one of the “Nine Old Men” – Walt Disney’s playful nickname for his core group of animators. The nine unique personalities portrayed in this comprehensive history explored, expanded, and influenced character animation and moviemaking over the course of fifty years, consistently raising the bar by which the art form continues to be judged. Paper Dreams follows the creative search for memorable stories, and the development of the situations and personalities that makes every Disney animated film a classic. Disney pioneered the technique of storyboarding – pinning story sketches on corkboard and analyzing them – as a way to develop the visual and narrative flow of a film. Profusely illustrated with story ideas from the 1930s Silly Symphony and Mickey Mouse shorts, to the classic Disney features, John Canemaker brings to life this intense and challenging creative process that has been adopted by filmmakers as diverse as Orson Welles and Federico Fellini, and remains an essential stage of production throughout the animation industry. The N umber One cartoon superstar of the Jazz Age, Felix the Cat was as famous in his heyday as Charlie Chaplin or Buster Keaton. The raffish, devil-may-care feline starred in his own series of animated shorts, and generated a bonanza of merchandising revenue for producer Pat Sullivan. Felix himself, however, was brought to life by Otto Messmer, Sullivan’s brilliant, self-effacing production manager, who conceived animated and directed more than 200 Felix films. Messmer never shared in the profits from his creation, nor did he receive public recognition for his contribution to the art of personality animation. Like many silent stars, Felix was supplanted in the public’s favor by a newcomer – in this case, Walt Disney’s Mickey Mouse. 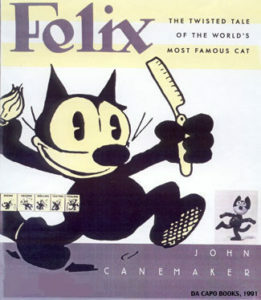 But Felix made a memorable comeback on television in the 1950s, and remains today an iconic cartoon figure. John Canemaker tells the story of Felix’s rise and fall in the rough and tumble world of animation in the 1920s. Read The New York Times review of Felix here.